I'm having a bit of a topsy-turvy week. One of those weeks when outside influences cause you to through your routine out the window. Nothing major, nothing to worry about, I'm just finding it hard to settle to anything. On a possitve note, our week of persistent rain has fled, for good, I hope. Everything is drying out and the massive pile of washing in the laundry is shrinking. Always a good way to start the weekend. And an exciting note: I won tickets for two to our local Fortune theatre to see a play called Heroes. It was wonderful: funny and touching. It's 1959 and three WWI veterans sit on the terrace of their old peoples home in France, reminiscing and making plans to escape. A 200 pound stone statue of a dog plays a significant part too! 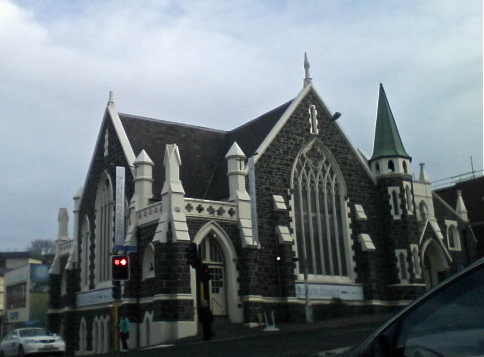 Also, I had never been to this theatre, which was converted from an old church, many, many years ago. I really must try to go more often. I did start the week off on a very satisfying note. As I've mentioned before I also like to quilt. 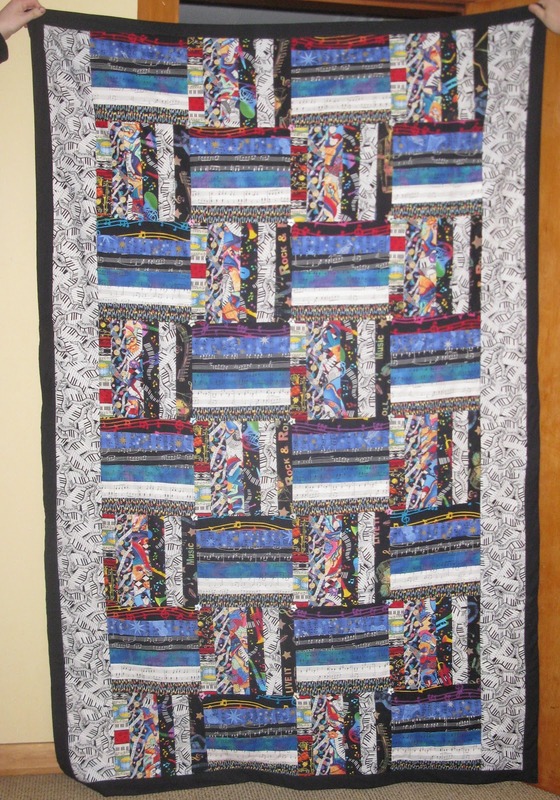 Before I started writing, I had finished a quilt for the second son and one for my daughter, but my poor eldest son has had to wait far too long. On Sunday afternoon I glued myself to the kitchen table until it was finished. I now have one very happy son! My oldest's quilt - a musical theme. A closeup of the fabrics. I loved making this - such gorgeous girly fabrics! 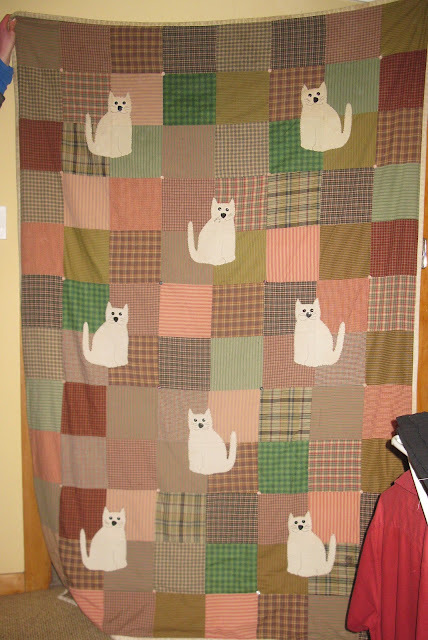 This was the very first quilt I made. The cats just make this. Next is a quilt for me and hubby! Wow! I love your quilts. I used to quilt and cross-stitch too but sadly I lost interest and patience. I do have a beautiful throw I made, which goes over my lap during winter - it's so cosy and warm. How funny you went to the theatre. Tomorrow night MIML and I are going, for the first time, to the local theatre, in the old town hall! The play is called Curtain Up For Murder - now how could I miss a play with a title like that! I have some fabric waiting for me to make a throw! One day. Yes, the play certainly sounds like your cuppa tea. I hope you have a wonderful time. 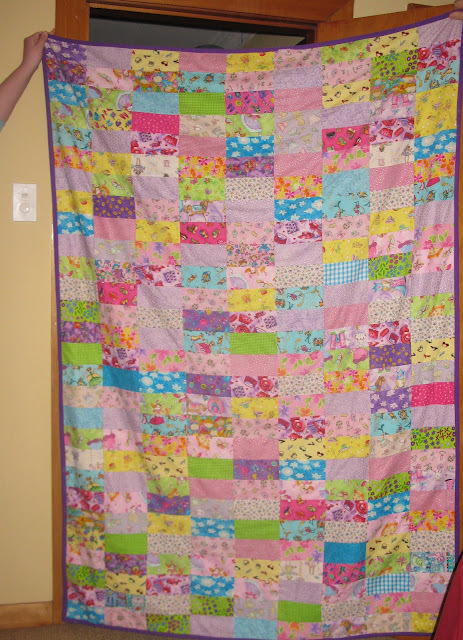 Love the quilts, such a precious heirloom for them. So, so cute! 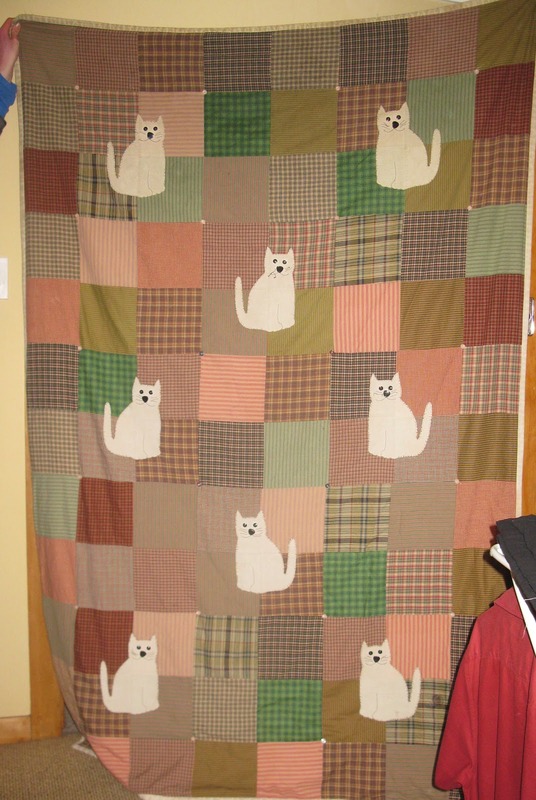 I love the cat quilt! 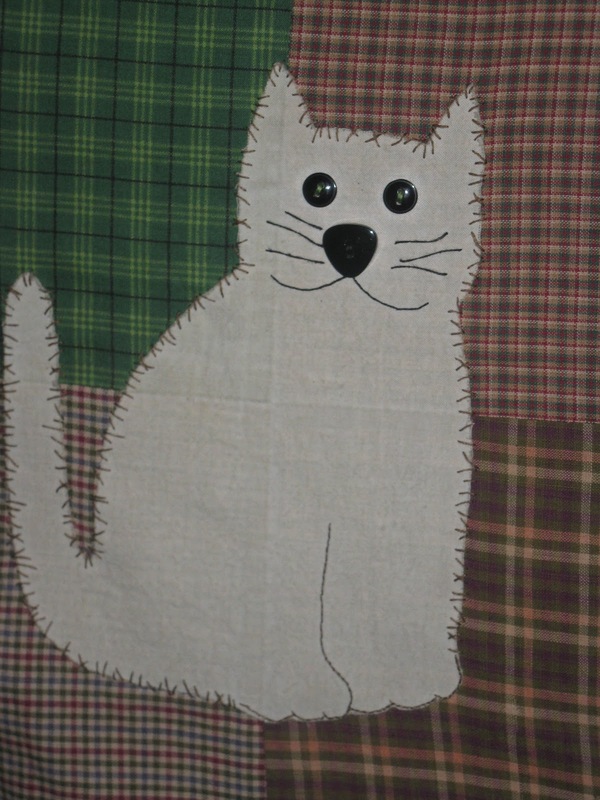 I wish I had the patience to quilt or even sew. What's funny is that I started an embroidery project in 2010 and have YET to finish it. Ha! LOVE LOVE LOVE the new blog background!!! Two years for an embroidery project is such a short time in my books! :) You'll get there! Glad you like the new look. It was your blog that inspired me to change. Thanks!